Reuters reports, "A top economic adviser to U.S. President Donald Trump on Tuesday pushed back against reports that a preliminary trade meeting between U.S. and Chinese officials was canceled, saying the story was not true. 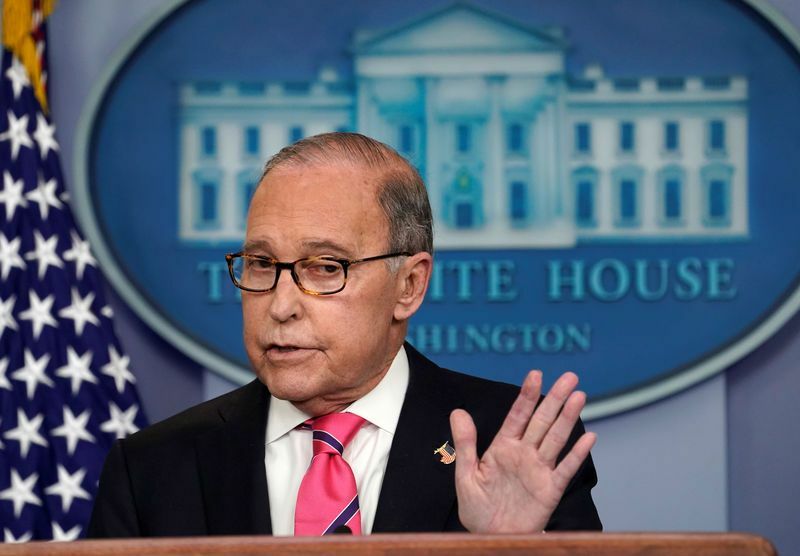 'With respect, the story is not true,' White House economic adviser Larry Kudlow told CNBC. The Financial Times, citing people briefed on the talks, reported earlier on Tuesday that the Trump administration had rejected an offer from China for preparatory trade talks this week ahead of high-level negotiations scheduled for next week. The Financial Times also referred to the preparatory meeting as having been canceled. Separately, CNBC also reported the meeting had been called off." Business Insider reports, "Huawei's chairman Ken Hu appeared at the World Economic Forum in Davos on Tuesday, appearing calm and composed at the gathering of the world's political leaders and elite. Hu and other senior Huawei executives are appearing at the conference, despite facing considerable global hostility thanks to worries that the Chinese firm helps its governments to spy on other nations. Huawei's CFO is being detained in Canada and under investigation for alleged dealings with Iran, which is forbidden under US sanctions. And the company is reportedly facing a criminal probe for allegedly stealing US firms' trade secrets. Speaking during a panel on Tuesday morning, Hu said next-generation mobile internet, 5G, would be the next major technological development." The New York Times reports, "A well-known writer and former Chinese official with Australian citizenship flew from New York to China on Friday despite warnings from friends who told him it was too dangerous. Now, he is missing and appears to have been detained by the Chinese authorities. The writer, Yang Hengjun, did not answer his Chinese cellphone despite repeated attempts to reach him on Tuesday and Wednesday. Nor did he answer messages on WeChat, the popular Chinese social media service. Deng Yuwen, a Chinese journalist and current affairs commentator who knows Mr. Yang, said that the writer appeared to have vanished shortly after landing in the southern Chinese city of Guangzhou." Foreign Policy Super-Patriotic Anime Youth Wars!